Xbox Game Pass IN DA HOUSE!! If you own an Xbox One and don't have a subscription to Xbox Game Pass you are, no offense, kind of dumb. It's only $9.99 a month and it gets you access to over 100 games, including all first party Xbox One games the day they release. No streaming, either - just download them and play. If you do have a subscription, well, to begin with, well done, sir or madam. You clearly have an eye for value, and don't let anybody tell you otherwise. Secondly, my guess is you probably have a lot of the usual games downloaded already. The Halo games. Forza Horizon 4. Maybe even Sea of Thieves, for some reason. Which is fine, of course (especially Forza Horizon 4 - that game is the bomb). Those are (mostly) all fun games and worthy of your time. Even Crackdown 3 turned out to be better than I expected, although, to be fair, I was more or less expecting a turd sandwich with that one. These games that finally come out after having been in Development Hell for a billion or so years are pretty hit-and-miss, if I'm being kind. For every Kingdom Hearts III, it seems like we get a Duke Nukem Forever. At this point, if Starcraft: Ghost ever comes out, it'll probably destroy the Spacetime Continuum. But, you're also possibly missing out on a plethora of other great games that you might be overlooking. So, we went through all the games available as of this writing and picked ten of them. Ten games you should really give a shot. 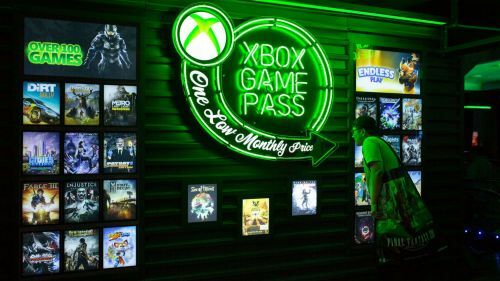 Obviously, the Game Pass lineup changes from time to time and, by the time you're reading this, they might not be on the service anymore. Which is why we also picked games that are worth playing anyway. If it's on here, it's a game worth picking up, free or not. Not to be confused with Kingdom Come: Deliverance, Kingdom: Two Crowns is a 2D pixel-art strategy game loaded with atmosphere. 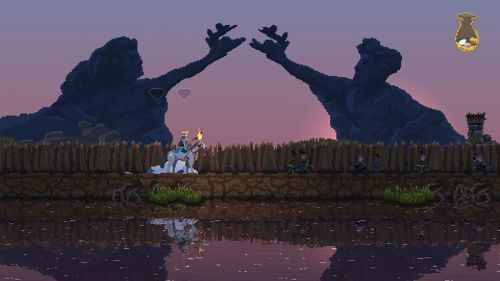 It's a sequel to 2016's Kingdom: New Lands (also on Game Pass and itself a sequel of sorts to the original Kingdom from 2015) and involves a king (or a queen, it could be either) attempting to build a... you know... kingdom, basically from scratch. By collecting coins, your royal highnesses recruit wandering villagers and turn them into builders, farmers, soldiers, and the like. During the day, you can build until your heart's content - or, at least, until you run out of coins, that is. At night, however, nightmarish creatures will attack your compound, meaning your defenses and soldiers are drastically important. It's such a simple concept and it can get tedious from time to time. However, every time I play it, I end up just getting lost it in, discovering more and more things, moving from one island to another, and trying to build my kingdom as much as possible. Two Crowns has a campaign mode of sorts, where you're attempting to destroy a malevolent force known as The Greed, but it's nowhere near as deep as the gameplay. There's also a co-op mode, both online and off, that's pretty fun. It also gives you the option of building a medieval Europen style fifedom or one more like Feudal Japan. Which, of course, means ninjas. As I said, you can get both Kingdom games on Game Pass, but this is really the only one you need.